Hot Tubs Dealer, Hot Spring Spas Des Moines, a new and used hot tub dealer with stores in Lake Elmo and Minnetonka, MN and Clive, Carroll and Arnolds Park in Iowa since 1983, is proud to be associated with Hot Spring Spas – their hot tub, spa and accessory supplier. “Choosing the right hot tub for you and your family can be overwhelming and confusing with the various products, brands, options and features that are available out there today. Our goal is to take the stress out of buying a spa. That’s why we encourage our clients to ask questions. In addition, we’ve invested in hiring and training our spa specialists to be sure each client gets all the information they need to make the best spa buying decision possible, even if they don’t buy from us,” said Schaben. “Since a hot tub purchase is not an everyday type of purchase, there are a few things we suggest consumers do before they even start the shopping process. They need to consider their lifestyle, budget, placement, time required to maintain and even environmental issues,” continued Schaben. “Consumers wanting to find the Hot Spring Spas location nearest them are encouraged to visit the company website for more information. The website address is http://www.HotSpringGreen.com. 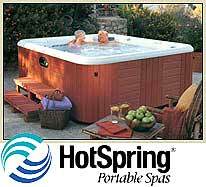 HotSpring Spas of Iowa and Minnesota offers a large selection of new and used hot tubs and saunas for sale and a variety of hot tub, sauna, repairs, parts, and accessories. We are Iowa's and Minnesota's premier source for Hot Spring Spas and Hot Tubs, Saunatec and Finnleo Saunas, A & B Backyard Accessories, and proudly carry the SilkBalance for Spas water treatment system. To learn more, pick up a copy of our free report “7 Critical Questions You Must Ask Before Your Buy a Hot Tub.” Just give us a call at 515-270-8702 or go to http://www.HotSpringGreen.com.